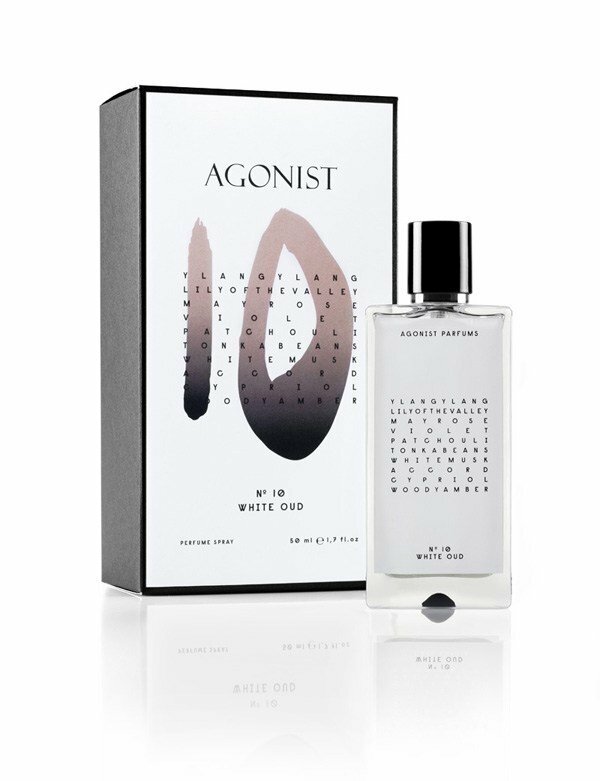 N° 10 White Oud is a perfume by Agonist for women and men and was released in 2014. The scent is fresh-woody. It is still in production. A pleasant offering by a brand I haven’t really the highest consideration for. White Oud opens with plushy white musks infused with a nutty-camphor vibe and a sort of subtle, bright floral-fruity top nuance, as much pale as clearly defined (I mean – not a generic floral accord, just crisp precise floral notes with a very ethereal, therefore “pale” substance). Mostly the first minutes are all about clean, Helmug Lang-esque musks though, that sort of lab-like, greyish “laundry” feel with a very peculiar sort of cold, hard, slightly mineral-salty vibe (I think caused by the base notes of cypriol and woody aromachemicals), which creates a sort of thin, yet stout feel of, say, “marble paper”, if that makes sense. Thin as paper, yet robust as a rock. It’s quite hard to describe, but if that helps, you can think of something halfway Helmut Lang Eau de Cologne and L’Artisan’s Timbuktu painted in white icy watercolours. Then, cypriol emerges together with the tonka-woody accord dusted with patchouli, or better say the way round – the top notes (floral, mostly, and the sweetest, plushiest, “soap-like” side of musks) fade away and tone down considerably, which is quite unusual for musks. 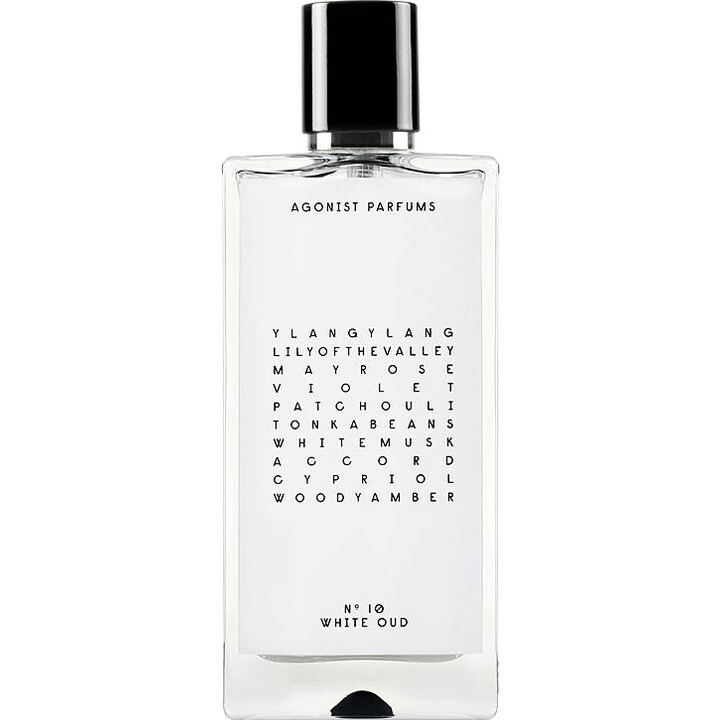 White Oud gets then drier, woodier, still “white-grey” in an aloof, concrete-like way, and to this extent there’s some distant connections to another musky “cold” scent – Narciso for Him, mostly for this same similar “concrete” vibe. White Oud smells more thin than that though, and also considerably more complex. There is in fact this bizarre sort of mineral-nutty note coming and going, probably due to tonka, but emptied of any warmth or exoticness. Actually that’s how most of the notes smell here – exotic, but somehow “emptied” of their vibrant nature. Also patchouli, for instance, it smells like a black & white polaroid of it, rather than the “full” usual note. And it’s not just about being more light, it’s a more interesting work on the very texture of the notes. Finally, the drydown pleasantly brings back some soft floral accents (oddly similar to orange blossoms at this point) laying them on a woody-ambery base accord (mostly woody, with a dusty touch of amber). It seems to me that White Oud definitely nails the concept of creating a “white-dark woody” scent translating the exotic terms of a typical oud scent into a Scandinavian-inspired cold and, say, “hard” blend. Being not a fan of Agonist I wouldn’t have given much credit to this attempt, but the result is quite compelling actually. For as weird it may seem, it does smell like a “white oud” infusion indeed: it keeps the same nutty-medicinal woody nuances of oud, just replacing any skanky, smoky, oily- thick texture with its exact opposite: musks, floral notes, a dry-cold substance, a touch of exotic-almondy dry sweetness. As a comparison, just consider the similarly-named Montale’s White Aoud: I love that (nearly the only Montale I really like), but that’s way more “easy” and simplistic rendition of “white oud” – it’s just oud, with some conventional “white” notes on top, like vanilla and flowers. 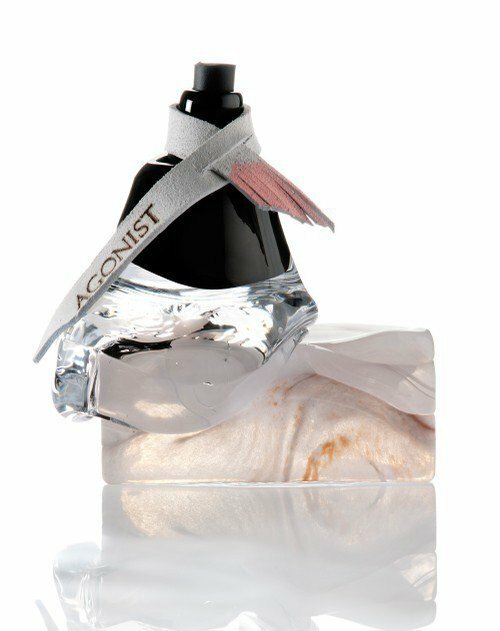 Agonist’s White Oud is instead a more creative, abstract, complex interpretation of the idea of “white oud” – more a veritable “translation” of it in fragrant terms, if that makes sense. Well anyway, this is interesting and smart. And also quite pleasant to wear, regardless of any “theoretical” consideration about it. Maybe a tad boring after you got the magic and the concept, slightly more synthetic than I would have liked (even taking into account that it quite fits the concept – smelling so artificial, I mean) and definitely overpriced, but well designed and well done. Write the first Review for N° 10 White Oud!